Manage your transportation costs – take control with the powerful program that lets you make the rules for your LTL Sourcing and Truckload Procurement events. Increase your negotiation power and substantially reduce your transportation spend. Our turnkey RFP and spend management process provides shippers with a core group of carriers qualified to meet their specific transportation requirements, so they can solicit pricing with confidence. For LTL, this solution creates a proprietary, single rate set created specifically for your business. 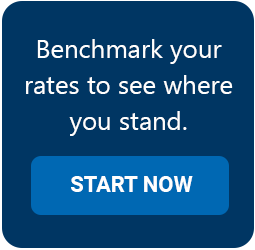 Our customers find our shipper-centric base rate tariff an excellent approach to keep them in the driver’s seat in acquiring the pricing they want. Our clients receive an average cost reduction of 9% to 15%. Our 8 to 12 week procurement project cycle lets you realize your savings quickly, with a complete return on investment in generally less than 3 months. 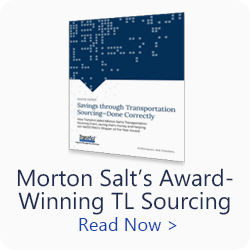 The success of our Transportation Sourcing & Spend Management process is possible because it is not a methodology that is created every two years, or even every year. It is an ongoing process that is continually refined through regular meetings at the executive level with the 250+ carriers that service our clients. This allows us to monitor shipping patterns, build relationships, and make adjustments that foster intelligent business practices for shippers and carriers alike. Ongoing rating/routing and performance reporting to ensure savings goals are realized at the bottom line.